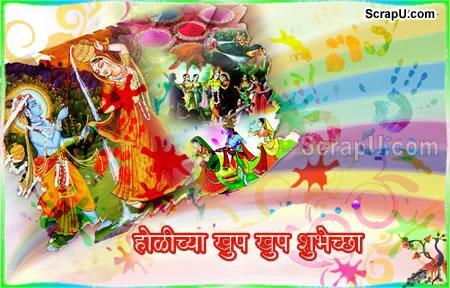 Marathi Holi Wishes and greetings for facebook. Now wish your friends in their or your own mother tongue Marathi. 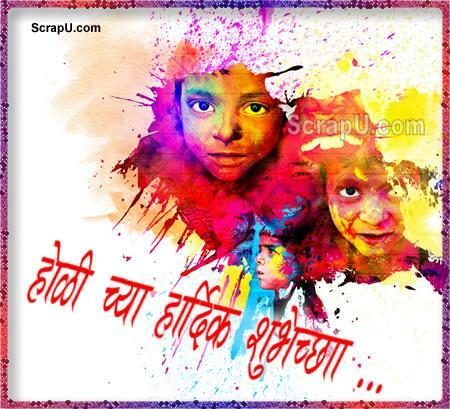 Haan aaj na chhodenge bas humjoli Khelenge hum holi khelenge hum holi Chaahe bheege.. Chaahe bheege re teri chunariya Chaahe bheege re choli Hoye khelenge hum holi, Holi Hai!